Stark and simple, these cold winter trees add depth to any space. 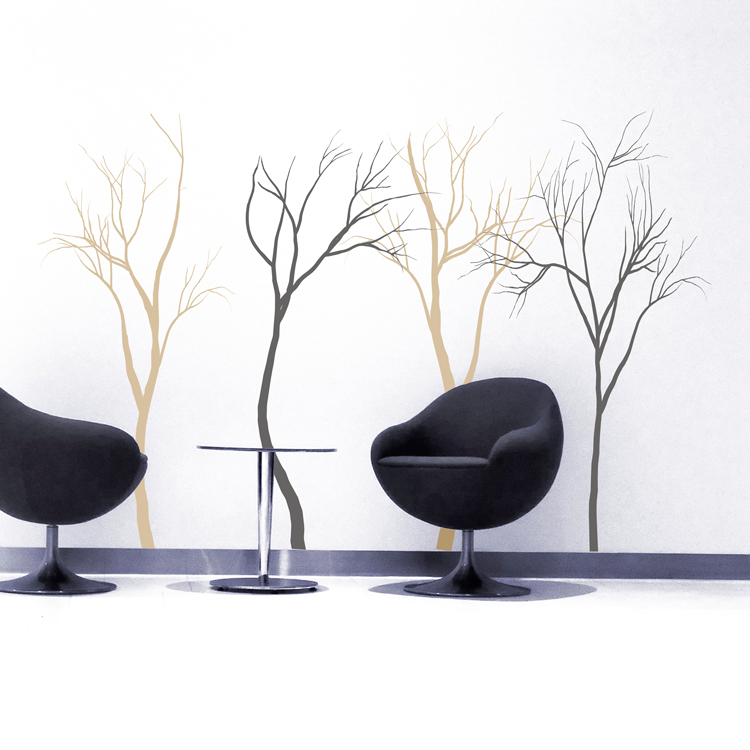 These tree decals come as a set of 4, in your choice of two colors. 2nd tree - 22 inches wide by 60 inches high. 3rd tree - 37 inches wide by 65 inches high. 4th tree - 29 inches wide by 61 inches high. The first and third tree will be one color, and the second and fourth tree can be another color. Or, choose one color for all four! Two of our Cold Winter Trees will come in one piece, ready to apply! The other two come in 2-3 sections for easier application! Practice decals are included with every order.